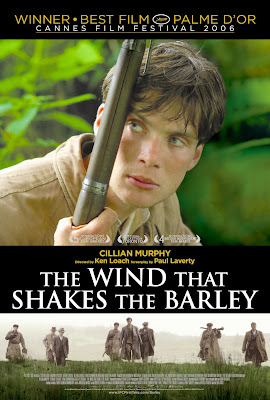 There's a bit of a funny story as to why I watched The Wind that Shakes the Barley. Yes, it has Cillian Murphy in it, who I love dearly. But, the day I watched this happened to be my fifteenth birthday. What does this have to do with the movie? Well, here in New Zealand, we have an 'R15' rating, which is rarely given to films, but this film just happened to be one. I decided that on my birthday I would watch an R15, and this film was like one of the only R15's in the video store. Oh, I guess the Cillian Murphy thing did have a lot to do with my decision, too. Ireland, 1920. As a wave of Republican nationalism sweeps the nation, workers across the country unite to form volunteer armies to combat the notorious 'Black and Tan' paramilitary squads sent over from Britain to quell the rebel uprising. 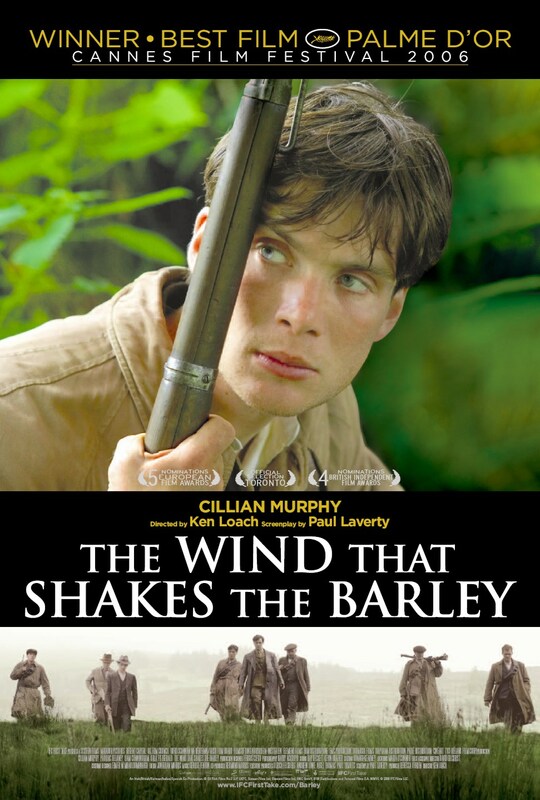 Driven by a deep sense of duty and a love for his native Ireland, Damien (Cillian Murphy) abandons his promising career as a doctor and joins his brother, Teddy, in a dangerous and violent bid for Irish independence. The Wind that Shakes the Barley has some of the most beautiful cinematography I have ever seen, which makes the film worth the watch. However, since I didn't really have an interest in this piece of Irish history, I didn't really get into it as many other people have. What I really have to say is that the British should get over themselves when they say that this film labels them as careless, because this is history and it really did look like they did some pretty horrible things to Ireland. If you are one of those British people, I still recommend that you watch the movie, because you can't really change what was done and this film provides a valuable insight to a struggle for independence. The story of the two brothers fighting was pretty interesting, especially considering the circumstances they were fighting under. The movie was basically carried by Cillian Murphy, who kept me watching with his amazing performance and the help of those beautiful blue eyes. Ireland should be really proud of him as an actor. I would recommend this film to anyone with an interest in history and also Cillian Murphy, because you will absolutely love it. A good history drama, that should have packed more of a punch. But Cillian Murphy saves the day with his heroic performance.